Dr. York, holds a 6th degree Black Belt and is Chief Technical Director “Shihan” for North America and co-founder of the International Budo Institute. He has also studied Muay Thai, Kung-Fu, Kobudo, Judo, Muso Jikiden Eishin Ryu and Taekwondo. Dr. York has taught hundreds of students and is known for his ability to direct and develop his student’s ambition and foster positive mindsets. Dr. York began his martial arts career in 1982 under Master Kim, in Su Lim Hung Gar Kung Fu. 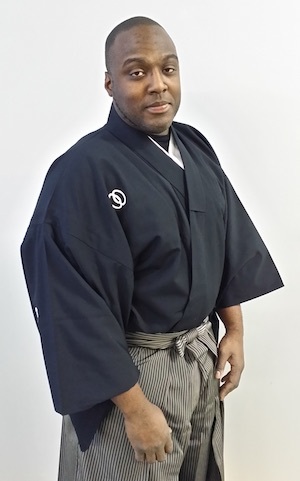 In 1996, he began studying Shorinjiryu Karatedo under Shihan Wayne Donivan of Shorinjiryu Kentokukan and received the rank of Yondan (4th dan) in 2001. 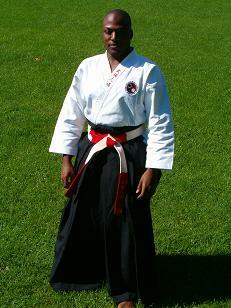 In 2012, Dr. York was promoted to 6th Dan, Rokudan in The Budo Institute by Dr. Henderson and Shihan Des Paroz. Dr. York teaches Goshin Jutsu at the Bubishido Hombu Dojo in Montreal. Dr. York also holds a 5th Dan in Koshiki Karatedo from Japan, July 2017. Academically, Dr. York holds an undergraduate degree in behavioral Neuro-psychology (B.Psych.) from McGill University where he also obtained a Graduate Diploma in Leadership. He also holds a M.Phil. in Business Research and Doctor of Philosophy in Business Research in Leadership from UGSM-Monarch Business School Switzerland. At present, Dr. York is completing a combined M.Phil/Ph.D. in Spirituality Counselling at the University of Ottawa. Dr. York also holds a degree in respiratory and anesthesia technology. Dr. York is an active member in the health field as well as a Fellow of the Quebec/Canadian heart and stroke foundation. You may view Dr. York’s academic biography by clicking here.